Pack Ready lamination is based on an ecosystem of material suppliers, Karlville laminating equipment and HP R&D. Pack Ready has several advantages as zero-cure-time lamination and strong bond between HP Indigo digitally printed substrate and Pack Ready laminate film. The new process enables digital converters to print, laminate and pouch on demand for immediate time-to-market with qualified food safety regulations. 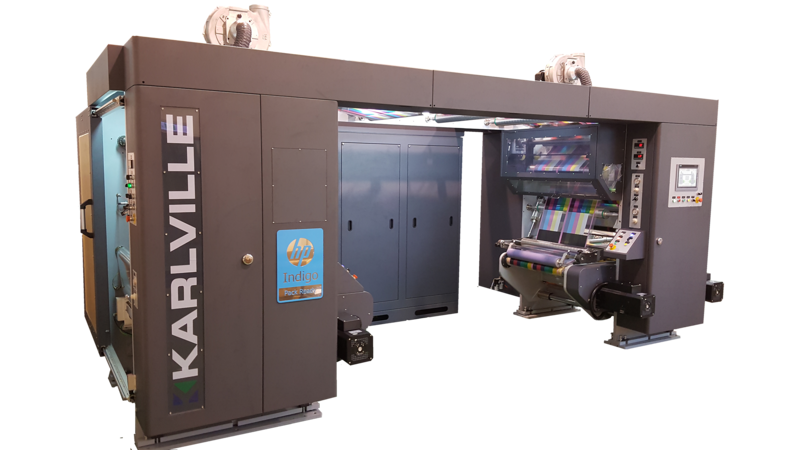 The game-changing Pack Ready Laminator (TL800) by Karlville is designed for lower environmental impact and simple operation. It specifically designed for Pack Ready lamination and HP indigo digitally printed output. All engineering is designed to maximize advantage of digital printing. Compact design, quick media change with minimal waste, optimized media roll width that supports output of both S3 and S4, HP Indigo Presses as 20000 and 6900 digital presses. Pack Ready is launched and ready to revolutionize packaging market.